In 1968, a group of eight young men from a local mountaineering group headed to an underground network of caverns near to the Asturian town of Ribadesella to hone their spelunking skills. The group had begun to explore the cave network when one of the team made an incredible discovery. Haunting monument to the German Jewish philosopher who died while fleeing fascism. A local teenager called Celestino Fernandez Bustillo, or “Tito” to his friends, found a large segment of the cave and panned the beam of his flashlight over its walls to estimate the length of the cavern. To his great surprise, the light illuminated an incredible scene from the dawn of human consciousness that had not been seen for thousands of years. Emerging from the darkness, flickering on the cave walls, were herds of stocky wild horses with tawny reddish fur, reindeer with great curling antlers, and numerous red deer. These animals had been painted using a mixture of pigments from several minerals (ochre, charcoal , copper oxide) and were portrayed in vivid colors with hues of violets, reds, blacks, and browns. The level of detail in the figurative representation was remarkable, with the muscularity and movement of each beast captured as if it had been drawn from photographic memory. Later scientific and archeological research confirmed that the paintings had been created approximately 33,000 years ago during an epoch that is known to archeologists as the Magdalenian period, or upper paleolithic. 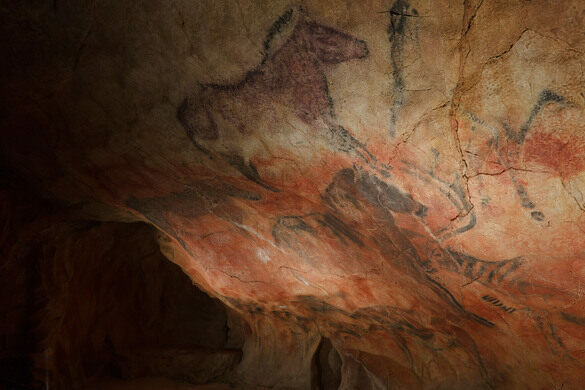 Further paintings were found within the cave networks including paintings of bovines (either auroch or bison, no one is quite sure) and a panel with symbols that are believed to depict vulvas, and presumably represent the worship of human fertility. The Tito Bustillo Cave (La Cueva de Tito Bustillo) is open to the public between March 1 and June 30 from Wednesday through Sunday (closed Monday and Tuesday), 10 a.m. to 6 p.m. Tickets for the cave and the interpretive museum must be reserved in advance online and cost 5 euro. A trip to the cave includes a guided tour to see the main panels of the site (currently only conducted in Spanish). It's a good idea to arrive and check in at the visitors center about 30 or 40 minutes in advance. 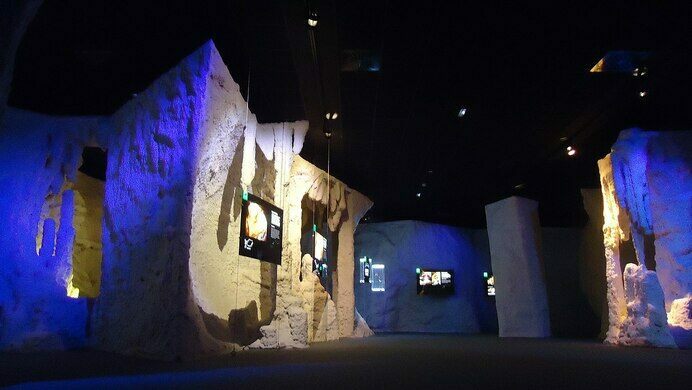 Be sure to also check out the brilliant state-of-the-art museum at the site, which chronicles the history and discovery of the cave. This century-old ruined temple was reborn as "The Church of Skate."